This is a common problem on machines that cannot access Internet. When you install the Syncrify server, it needs to connect to our website to fetch a serial number. It cannot connect to our website if the machine is not allowed to go out on the Internet. 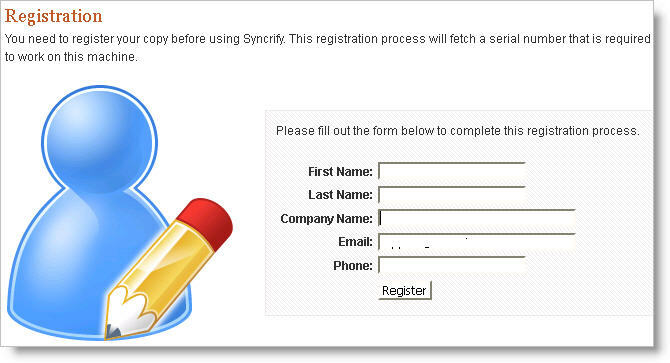 As a result, it will keep asking the administrator to register Syncrify. Click here for a screenshot of the registration window. Allow the machine to go on the Internet temporarily. Once registration is complete, you can take it off. We will make necessary changes to the file and send it back to you. Once registration is successfully completed, you won't get this error message again.